What happens when a residential property construction company uses its 50-plus years of experience to create homes that spread joy? How do you create a living space that unifies diversity and an effective ambiance? 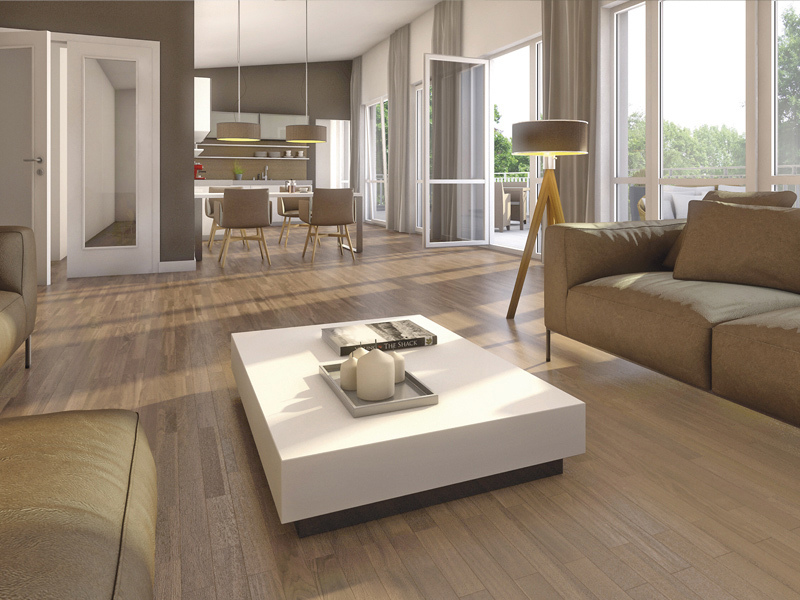 “Gut Gelegen Germering” has some convincing answers: yet another example of quality and pleasurable living that has come about due to our experience and passion for better living. “Gut Gelegen Germering” was built in the popular city of Germering – a model for high quality of life right before the gates of Munich. 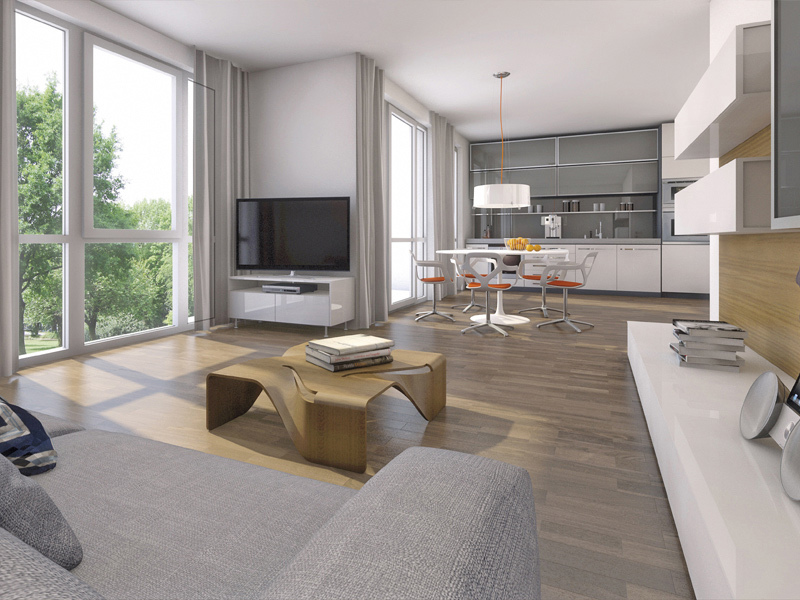 That special homey feeling: a matter of the condominium's layout. Facing the sun: living areas in the “Gut Gelegen Germering” project are predominantly south-facing and are therefore bright and friendly. The attractive ensemble has a pleasant modern architectural style combining an exciting appearance with a high level of functionality. 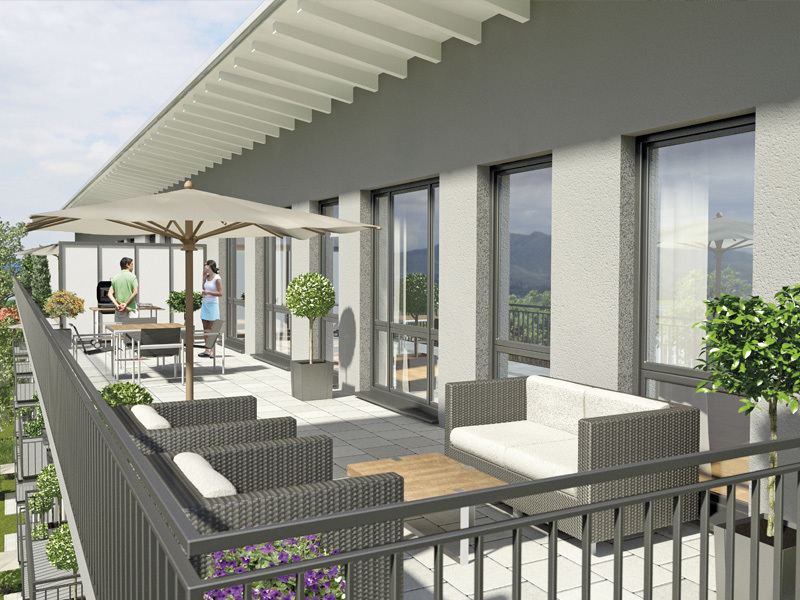 Highlights are the private gardens of the ground-floor condominiums as well as the spacious rooftop patios. Why should you only get to choose one? 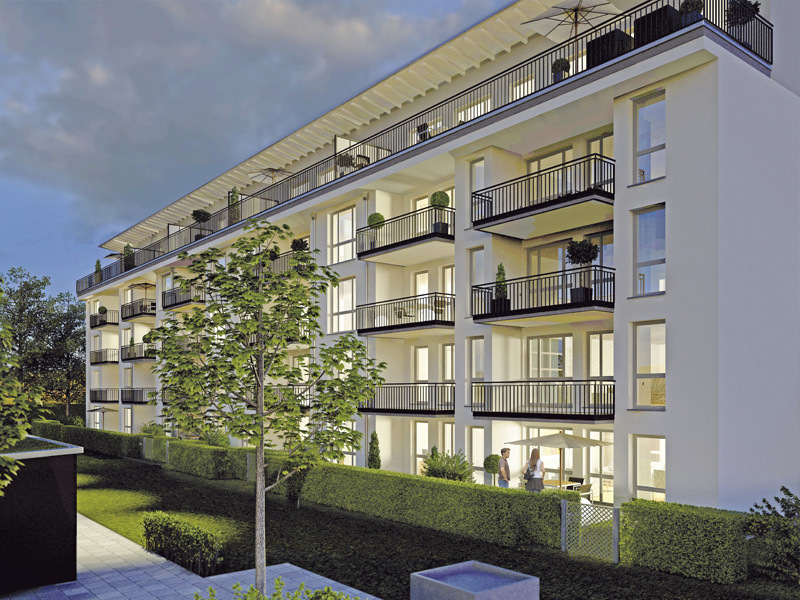 At Germering, you will find both: the rhythms of Munich city life can be felt in Germering, while opportunities beckon at every corner to relax and enjoy outdoor activities. Ideal links to the city are available via commuter trains and the A99, getting there within around 20 minutes. Germering boasts a wide range of options for all of your shopping needs – conveniently located right at the commuter Germering-Unterpfaffenhofen train station. And on top of that, surrounding attractions including the Germeringer See recreational area can be reached by bike from “Gut Gelegen Germering” in 10 minutes or less. The name alone lets you know that the location will have much to offer to make your life easier and more enjoyable. 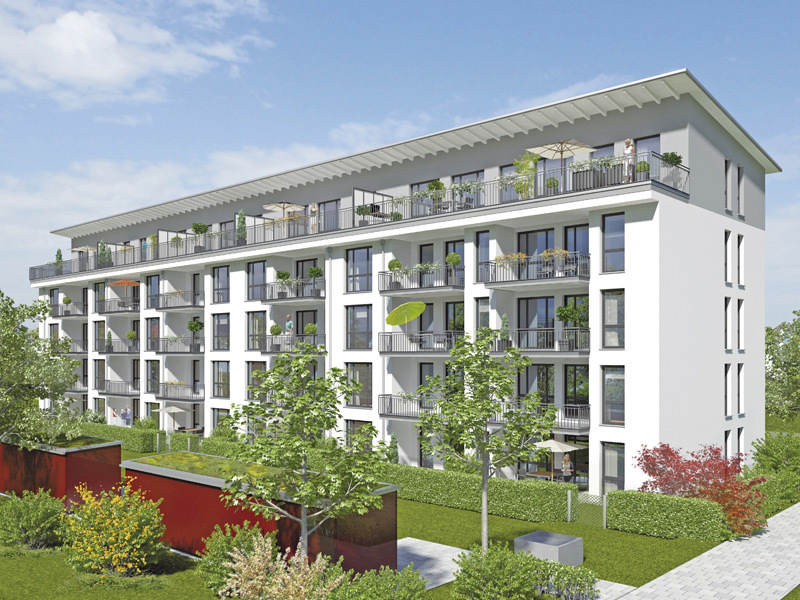 And whether you are looking to shorten your way to work or to the store or if you would simply like to enjoy your free time without any fuss, “Gut Gelegen Germering” will greatly improve your quality of life. 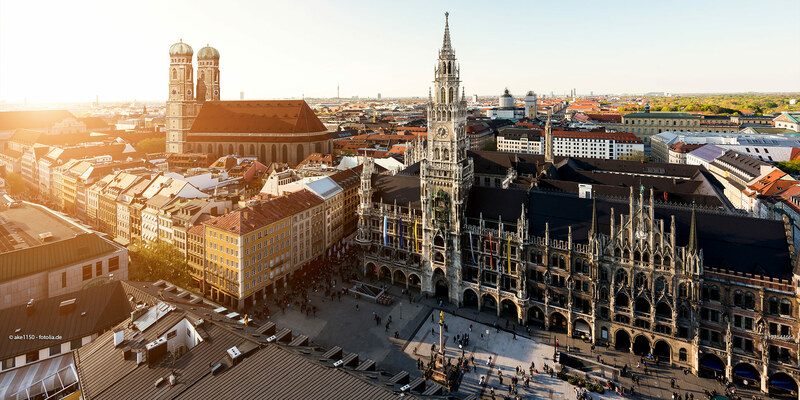 Are you looking to quickly make it to Munich? The commuter train station is just a 10-minute walk away. From there, it takes just around 30 minutes to reach the city. Germering also hosts two different farmers’ markets, both of which can be reached in less then five minutes by bike. Also located nearby, within an 800 m radius, are three kindergartens. Lake Starnberg and the Ammersee, as well as the city of Munich, can be reached within 20 minutes by car.